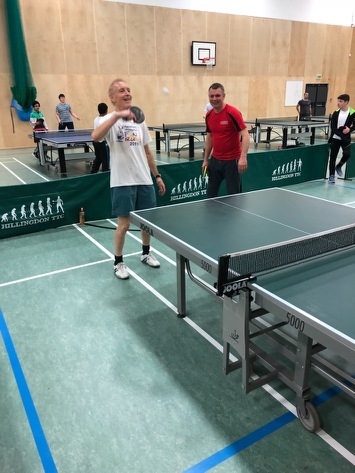 I first learned that there is a Hillingdon Table Tennis Club because my grandson attended, so I thought I’d give it a try. That was about two years ago and I’ve been going regularly since then. It’s an enjoyable way to keep active and fits in well with other commitments. In particular I like the ‘pay as you go’ aspect. Also I like the fact that it is multi ethnic and has no other ‘divisions’ such as age, gender, class, or even ability level. I honestly can’t think of any adverse aspects of the club: it’s been, and still is, a very good experience for me.